Every Christmas as a child I would be so excited to go to Aunt Stephanie’s house and eat her Munchie Stuff. I have no idea how it got that name, but it is fitting. We only make this stuff during Christmas, but it would be a crowd pleaser at any party. This caramel chex mix is so easy to make although it can get a little messy. I hope you and your family make lots of memories making this sugary treat and eating it as I did with my family. Enjoy. Divide above ingredients into to large aluminum pans for easy mixing. -Melt together in a medium sauce pan and bring to boil. Stirring constantly. Boil for five minutes until thick. Remove from heat. -Pour syrup in each pan one at a time and mix until every piece is as covered as can get. 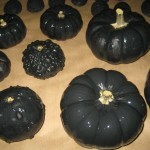 -Spread evenly but loosely onto cookie sheets or deep metal baking pans that have been buttered/sprayed. -Dry in oven for 1 hour. Cool then break apart. Add m&ms after it has cooled. 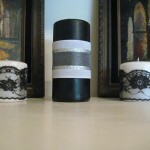 If you are new to crafting, you may want to visit the Newbies Page. Thanks for visiting! -Cut Brie in half horizontally. Place one half of Brie, cut side up, onto center of cookie sheet. Spread half of the apricot mixture evenly over bottom half of Brie. Top with half of the pecans and remaining half of Brie, cut side up. Spread remaining apricot mixture over Brie; sprinkle with remaining pecans. -Cut baguette and bake with Brie for 8-10 minutes or until baguette slices are golden brown and Brie begins to soften. Remove from oven; let stand 5 minutes before serving. 3 or 4 green onions, chopped. In food processor chop cranberries. Mix together with the rest of the ingredients and serve over a block of cream cheese. So easy and so tasty. 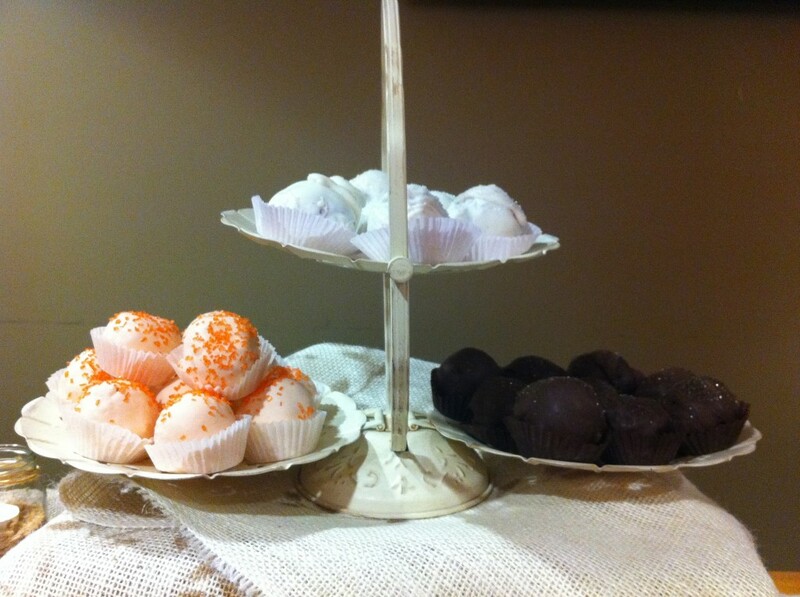 Cake balls seem to be so popular right now and I know why…they are so fun to eat. If you want to make these tasty treats make sure you have a few hours to spare. 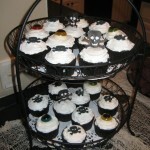 These are so fun for kids, parties, and any holiday. Here is how I make them, and I hope you will give them a try. Bake the cake according to the directions on the box. Let cool and crumble in large bowl. Mix ¾ of the canned frosting into the cake crumbles. If you like really gooey cake balls you can add the whole can. Use a spatula or just get your hands in there and mix it up well. Place in the refrigerator for an hour to set. 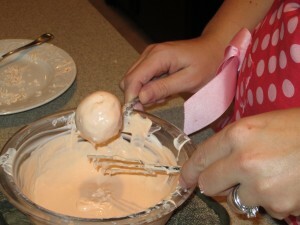 Take cake mixture and roll into a 2 tablespoon sized ball. I highly recommend using a stainless steel scoop to make this part go faster. Place the cake ball onto a parchment paper lined cookie sheet. Make sure the cookie sheet can fit into the refrigerator. Let sit over night or you can put them in the freezer for 2 hours. Once the cake balls have set, place the chocolate bark in the glass bowl and microwave for 30 second intervals until melted. 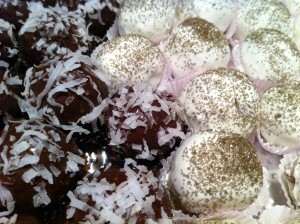 I suggest having a second cookie sheet lined with parchment paper ready to place the chocolate covered cake balls on. 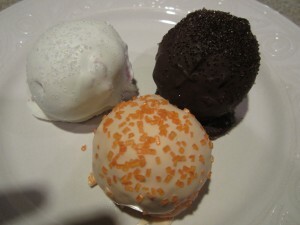 Drop a cold cake ball into the chocolate and roll around with two forks or use the dipping tools. Once the cake ball is covered, tap the fork on the side of the bowl to smooth out the chocolate and let the excess drip off. Place on parchment paper and add topping if desired. Don’t wait too long to decorate or the chocolate will harden. Place in the refrigerator for 30 minutes to harden chocolate. Make sure to display in a fun and cute way. Enjoy. 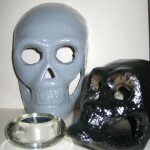 Halloween is a great opportunity to throw a theme party for your friends and family. One idea is a Gothic Gala. The theme is simple yet can be dramatic. I kept the decorations to black and white to keep it simple and cheap. 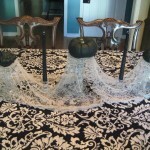 I painted pumpkins black, used black pillar candles embellished with lace and glitter, and pulled out my old lace tablecloths and sheets to add to the ambiance. 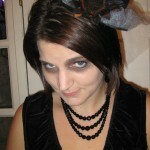 If you have guests that are timid to dress up suggest they wear black or leather. 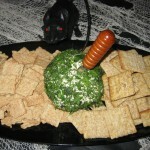 Have fun with your food and try to make it go with the theme like dark chocolate cupcakes or a mossy cheese ball. You don’t want to miss this (Family Name) game night. Or just wear a black t-shirt if that’s what you like. I remember growing up as a kid and planning my birthday parties. I never got everything I wanted, but my imagination was much too big for anyone parent’s wallet. Now that I am all grown it is time to celebrate big. 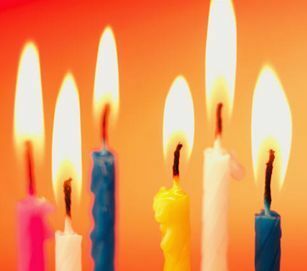 Blast to the past birthday is a way to be a kid again and celebrate like you did back when you were 7, but with better drinks and food…and all the dessert you want to eat. 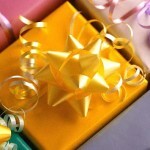 I suggest using www.evite.com for your invitations. We are going back to our childish ways to celebrate (Name) Birthday. Festivities include (Name’s) favorite birthday meal (enter food), cake & ice cream, piñata, water balloon toss, pin the tail on the donkey, and more. *For an adult birthday, it is important to indicate if gifts are welcome. If not suggest donating to a charity in honor of the birthday boy/girl. *Include a note if children are welcome. Just because it is a kid themed party, does not mean that it is appropriate for kids to attend. The trick for setting the mood for this party is lots of color. 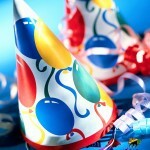 Use primary colors for: streamers, balloons, plates/plastic-ware/cups, and tablecloths. The most cost-effective way to get lots of color is using streamers. You can use multiple colors at one time and string from one corner of the room to another (crossing each other in the center of the room). 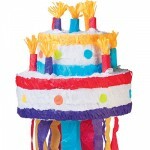 Add a few balloons on the mailbox, stair way, serving tables, and especially on the chair of the birthday girl/boy. To encourage guests to have fun get small toys and place around the tables (yo-yos, bouncy balls, playdough). Beach buckets make great containers to display candy from your childhood or for serving chips. For a big wow, set up a brownie bar that shows a variety of toppings and sugary sweets that guests will enjoy with the time is right. Plan out the spaces where the games will take place. Use card tables to set up game stations so guests can prepare themselves for the fun to come. 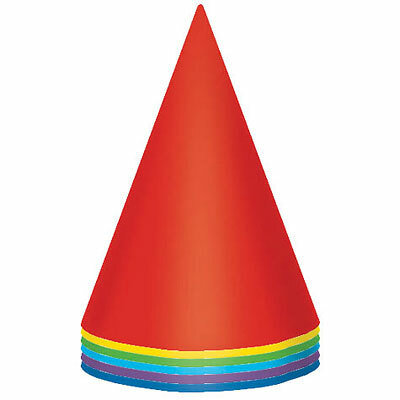 Party Hat Center – At the entrance to your party post a sign stating “Must have party hat to enter”. Get plain party hats and provide stickers and markers so guests can decorate their own hat. Suggest that guests write their name on their hat so everyone can meet and greet each other. Pin the Tail on the Donkey – Most party stores will have a set that can be purchase that includes all the pieces to play this game. Have everyone write their name on the game piece and then blindfold each person when it is their turn. This is a great photo opportunity so have the camera ready. Also make sure to have prizes on hand (movie tickets, large candy bars, Starbucks gift card). 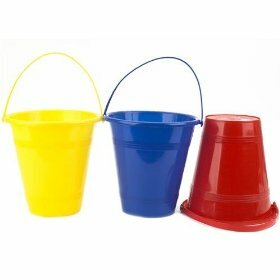 Water Balloon Toss – This childhood game is great, but only if it is warm outside. 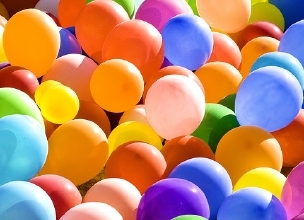 Fill the balloons with water a few hours before the party in a large tub. Put the tub out of sight or you may have fun before you are ready. Everyone pairs up and starts 3 feet away from their partner other. With each successful pass on teammate takes a step back. 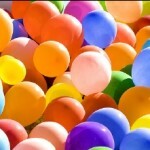 I like to use various sized balloons so the game gets harder as participants are eliminated. Have towels on hand in case a balloon fight breaks out. 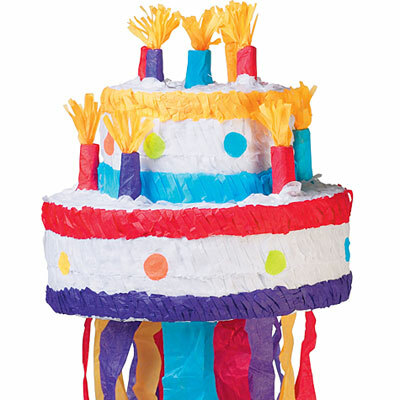 Piñata – Plain and simple is all you need here. Spend a little more and get the good candy. It is embarrassing to have candy left on the ground because no one wants to take it. With adults, it is a must to blindfold and spin each person that will take a swing. Have goodie bags on hand so all that candy goes home with your guests. 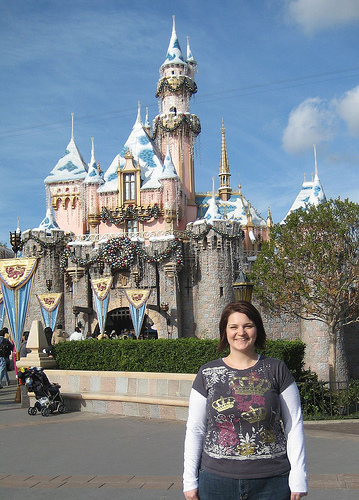 Here is a great way to celebrate a birthday: go to the happiest place on earth (Disneyland). There are so many ways to take your party to the princess’ palace and have a blast at any age. I suggest using Evite as you can include so many more details that on paper. We can hardly believe it’s true. Our little girl is turning two! Join us for a Goofy good time with Mickey and all his clubhouse friends as we celebrate (Name’s) birthday! Have fun with the main message. Brainstorm words that go with the person’s name and age along with characters from Disneyland. For younger kids it is important to plan in rest time and meals into your day. You might consider getting a hotel room near the park so you have a warm/cool place to take a nap and get bundled up for the evening. You might want to create a schedule so all the guests would know where the birthday girl would be throughout the day. This will encouraged guests to get the most out of the park, but also balanced with celebrating with a young child. Make sure to look at the parade and show schedule for the specific date you will be at the park. Watching a show will allow your feet to rest and get away from all the crowds. For reservations, information and pricing, please call (714) 781-DINE. Hosted by Pat E. Cake, a fun-filled celebration featuring music, merriment, laughter and cake decorating — with a special appearance by Mickey and Minnie Mouse. All Guests receive a party hat, souvenir sipper cup, mini birthday cake, icing and cake toppings., The Plaza Inn Birthday Party takes place Monday thru Friday at 2pm, and lasts anywhere from 45 minutes to 1 hour. $15.99 per person. *At City Hall ask for a Birthday Sticker. The birthday sticker entitles you to special treatment from the Disneyland Cast Members, who will always happily tell you Happy Birthday. *Rider Swap: Take advantage of the Rider Swap policy, which lets adult Guests take turns waiting with youngsters too small or may not want to ride a certain attraction and then “swap” with another adult Guest from their party so both can experience the ride without standing in line twice. *IPhone users can download apps to get attraction wait times, a park map and so much more. 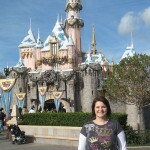 Visit ITunes and search Disneyland. For a fun keepsake you can get mouse ears for guests to wear at the park or take home so the fun continues. Here are 2 ideas depending on the price range. I always love it when I see little girls at Disneyland wearing the princess dresses. If you decide to do this make sure your little one is comfortable and warm. Here are a few available from the Disney Store. I don’t think of myself as a party planner or an expert, but I do enjoy a good time and have the gift of hospitality. Going to a party in an uncomfortable or uptight environment is just wrong. Here are a few tips to make sure that your guests aren’t disappointed at your next event. The way you communicate the details of your event says a lot about you and the event. For a more casual affair, I use www.evite.com. Everyone seems to be on email these days, so sending them the details electronically are perfectly acceptable. For a more formal event, paper and postage are still your best bet…but be creative. Themed postage stamps and ornamented invitations will add to the mood of your party. No matter what form your invitation takes, be sure to tell your guests the Who, What, Where, and Whys but also consider the following as well: are children welcome, do they need to bring anything, what activities will be taking place, are gifts welcomed (if so, provide some ideas), is there a dress code, and make sure to indicate your theme through the verbiage and invitation. Timing is an important game in sending out an invitation. Send it too early and people will forget, too late and they will already have plans. For formal events, like a wedding or anniversary party, get your invitations out no later than 6 week. For a birthday party, I would say 4 weeks. For an informal get together, like our Game Nights, you can get away with 2 weeks. You can add decorations to any event, big or small, on any budget. A centerpiece on the table will create a mood for your event or you can choose to go large with scene setters. 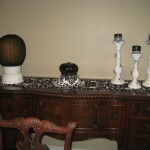 Whether or not you intend to, your space will add or take away from your party. 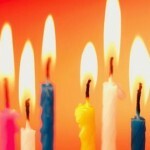 If you are having people in your home for a celebration make sure the environment celebrates the occasion. I am not saying that your house has to look like something out of Better Homes and Gardens, but take some time to pick up around the entertaining area and make sure your guests have a place to sit. Everyone loves to eat. I am a simple girl at heart so you won’t find anything too fancy or hard to pronounce at my party. Heck, I don’t even think my formal dining table has been used. Just like the communication and decoration, your food should match whatever feeling or mood you want to set. If you are having a birthday party, think fun. At a Christmas or Thanksgiving party, think warm and traditional. It is also important to consider your seating as you prepare a menu. Serving ribs with no table space for each guest will end up in dirty carpet and frustrated guests. The most important rule at our parties is: place the utensils at the end of a buffet line. My husband rants about this idea, which does make sense. Your guests will not know if they need a spoon or knife until they make it through the buffet. Don’t waste precious plastic-ware. Think through your food choices and layout as if you were a guest. Make sure it flows well and makes sense. Now it is time to have fun. 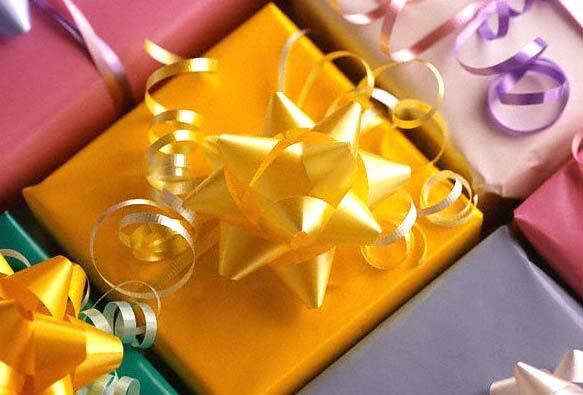 If you are planning a child’s birthday ages 4+ the games should be geared for the kids. Most parents will sit on the sidelines. If you are having a party for 3 year olds and under consider the parents as active guests. Find games or activities that everyone can have fun doing. For an adult party remember that everyone is a kid at heart. Don’t rule out a piñata or 3 legged races, you can have even more fun than the kids…especially after a drink or two. There are lots of games available for adults that will have you laughing and making memories in no time. When planning your party make sure to take a moment to reflect on who knows who on your invite list. If your guests do not know each other, make introductions and share a point of interest about each guests to start conversations. This will put your guests at ease and allow you to move throughout the party instead of being tied down to lonely guests. Name tags are almost always a mood killer. Be creative and have markers for guest to write their names on cups. If someone forgets a name it is easy to take a glance at their cup as a reminder. These are the first steps to planning a successful party. Anticipate your guest’s needs and think about what you would enjoy as a guest. 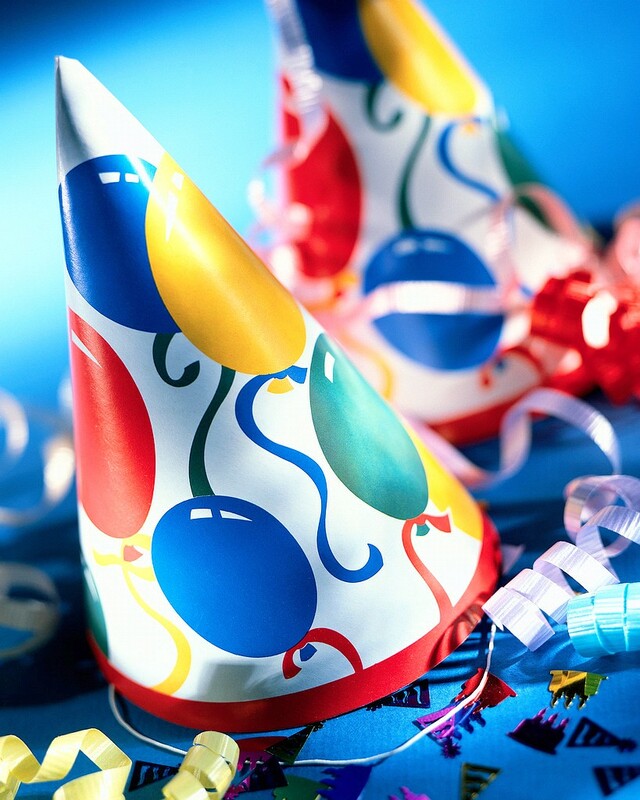 But remember that a party is for you to enjoy along with your guests, so don’t be so busy that you miss all the fun! With some planning and acceptance of help, you too can enjoy every moment of your next perfect party. So, go get your party hat and have some fun.